Welcome crocheters! 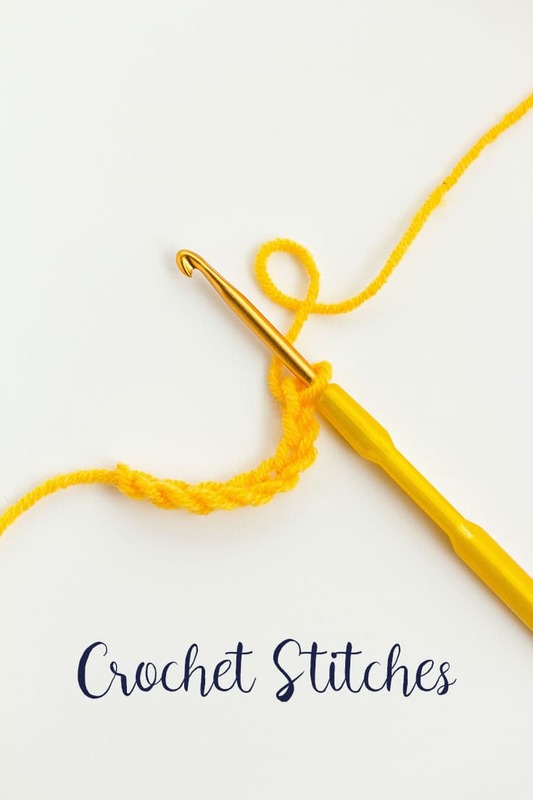 If you caught our post on How to Crochet, we wanted to follow that up with a post showing you several different crochet stitches you can do to give your projects some extra personality. Learning a new crochet stitch? Try making a small swatch first to test your gauge. When I pick up a new stitch for the first time, I like to create a quick project with it to see if I like it and make sure it feels comfortable to me before I tackle a larger project, such as an afghan. Therefore, most of my testing swatches for new stitches turn into dishcloths or dish towels. Which make great gifts, by the way (since the holidays are coming up). I’ve rounded up a list of twenty crochet stitches for you to try. If you are still mastering the basics, don’t worry, with practice you will be tackling these in no time! Create a dishcloth using this easy half-double crochet stitch. This beginner stitch comes with a video tutorial and free pattern! This beautiful stitch makes a star-like pattern in your project. Free pattern and video tutorial included. Great photo tutorial showing how to crochet the shell stitch. Several other stitch tutorials on this site. I am loving this stitch! This would make an excellent washcloth or dish towel. A video tutorial showing how to crochet the single grit stitch and also instruction on how to do the mixed grit stitch. Photo tutorial showcasing the spike stitch. I love the color contrast of the yarn used in this tutorial. Photo tutorial showing the box crochet stitch, along with how to do a color change. Love this pattern. This is one of my favorite new stitches. This site shows the stitch performed written in the text, as well as a video tutorial. This would be a great stitch for an afghan, and very easy to change colors with. This beautiful stitch would be great as a table runner for spring. I love the floral design, and it looks like an easy one to master. This post has a step-by-step photo and video tutorial of the stitch. I like how thick this one looks. A very pretty sedge stitch with afghan square pattern included. This afghan pattern contains a stitch combination known as the long double. It’s a great combo that reminds me of x’s. This post includes right and left handed video tutorials for the stitch, as well as a scarf pattern using this beautiful stitch. Great tutorial featuring the daisy stitch. This is one of my favorite stitches. A written and video tutorial for this really cool stitch. This would make a fantastic, colorful blanket. This stitch just reminds me of winter. I think this would make a fantastic winter afghan in blue and white yarn. I’ve been eyeing this stitch for a while now on Pinterest. This post has a video tutorial on how to create it. The swatch for this stitch has some great texture. The post has a video tutorial, and be sure to check out the many other stitches on this blog! With all of these wonderful stitches, which are you most excited to try first? Oh, thanks for mentioning me 🙂 Love how you’re able to share such an amount of great stitches with this post! Love it! Haven’t been visiting your page until now, but I’m loving it! Have an amazing weekend! I love all the different stitches that I have been able to learn, even though I have been crocheting for a long time. I love all the beautiful things that are published but find the wool difficult to match Australian wools. Keep up the good work.